Intensely moving stories that tell of the absurd violence of war, and tenderly depict the animals and children caught in its vortex. In 1945, Akiyuki Nosaka watched the Allied firebombing of Kobe kill his adoptive parents, and then witnessed his sister starving to death. 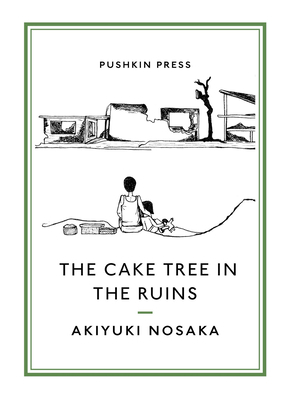 The shocking and blisteringly memorable stories of The Cake Tree in the Ruins are based on his own experiences as a child in Japan during the Second World War. They are stories of a lonely whale searching the oceans for a mate, who sacrifices himself for love; of a mother desperately trying to save her son with her tears; of a huge, magnificent tree which grows amid the ruins of a burnt-out town, its branches made from the sweetest cake imaginable. Profound, heartbreaking and aglow with a piercing beauty, they express the chaos and terror of conflict, yet also how love can illuminate even the darkest moment. Akiyuki Nosaka was born in 1930 in Japan, and was a member of the yakeato generation, 'the generation of the ashes', who survived the devastating firebombing of Japan during the Second World War. Nosaka was an award-winning novelist, short-story writer, essayist, lyricist, singer and politician. His adoptive parents were killed in the Allied firebombing of Kobe, and after he was evacuated with his sister, she died of malnutrition. These experiences inspired the stories in this collection, as well as one of his best-known works, Grave of the Fireflies, which was turned into a hugely successful Studio Ghibli film (called 'a masterpiece' by the Guardian), and which is forthcoming in a new translation from Pushkin Press. Nosaka died in 2015.